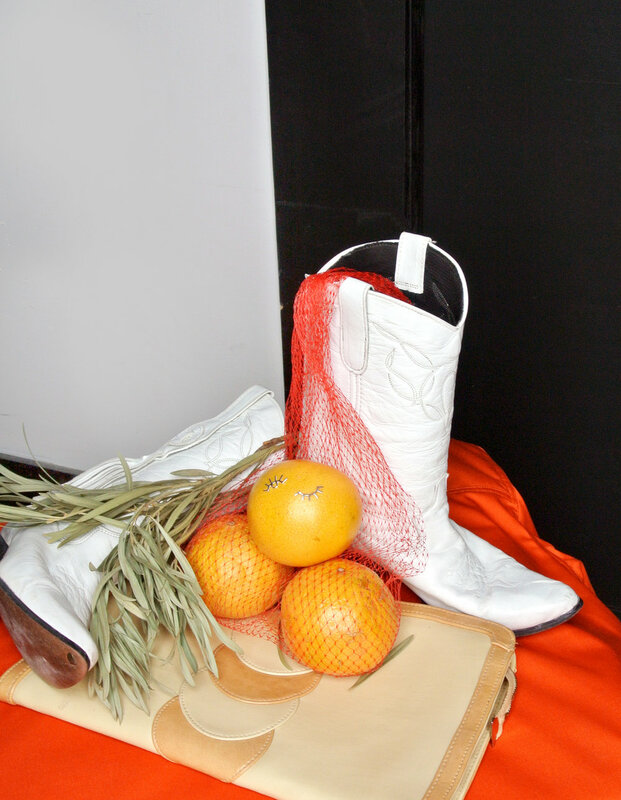 Vintage white leather boots, Vintage beige leather clutch, Bilak Jewelry handmade silver *Wink earrings. 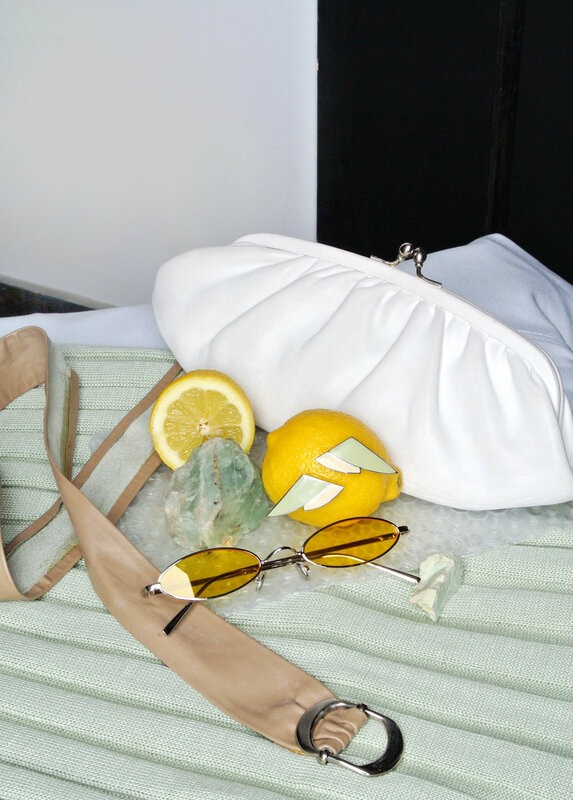 Vintage Guess patent heels, Blank sunglasses, Sofia Simon white fringe earrings. 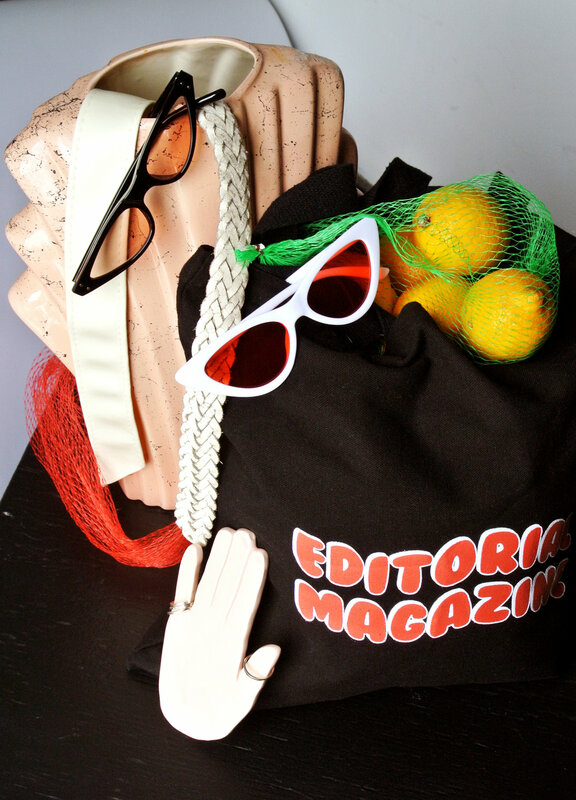 Blank sunglasses, Vintage white belts, Editorial Magazine tote, Marmod8 handmade silver rings. CV Handmade red choker, Vintage earrings (X2), Blank sunglasses, CV Handmade red pants.